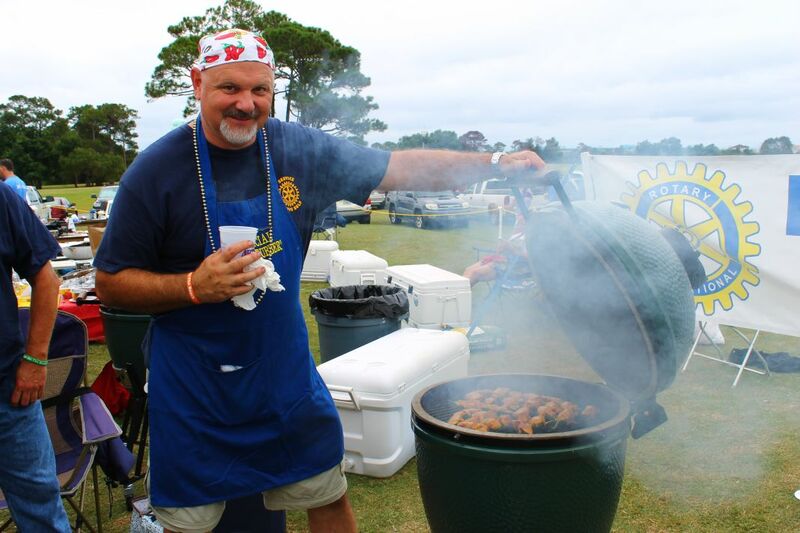 We’re gearing up for the 4th Annual “Eggs on the Beach” EggFest Grilling Competition, Sept. 30, 2017 from 10 am to 1:30 pm at Seascape Resort in Miramar Beach. 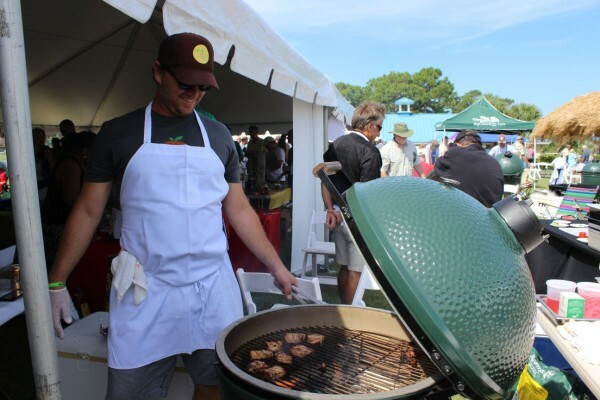 There are a limited number of cook team spots available and we’re encouraging Eggheads, backyard grillers, pitmasters, restaurants and anyone who loves cooking outdoors to consider joining us and showing off their skills at this official Big Green Egg Competition along the Emerald Coast. To enhance the grilling competition, we’re inviting non-profit organizations to register a cook team and we’ll waive the registration fees. Non-profit cook teams will be competing for cash donations toward their cause. The non-profit category has continued to grow and we want to make it even more lucrative for the charity partners this year. We have increased our prize money for non-profit teams to $6,000 to be divided between first, second and third place winners. 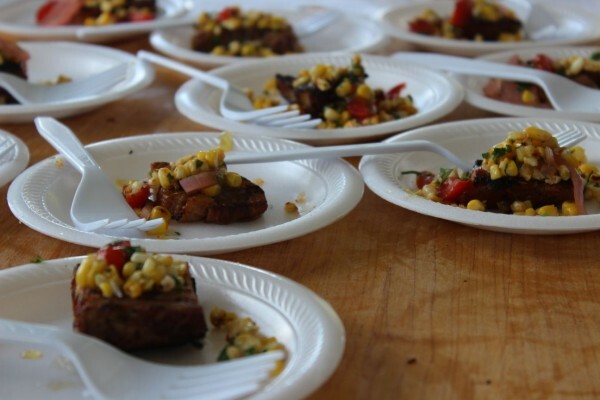 Non-profit cook teams will compete for taster votes and a chance to be named “Non-Profit People’s Choice Winner”, earning either $3,000 for first place, $2,000 for second place and $1,000 toward their cause for third place. We have 11 prizes total this year. Three trophies for Judges Choice (first, second and third). Three awards for People’s Choice: Large Big Green Egg for 1st, Medium Big Green Egg for 2nd, and Mini Max Egg for the team that places 3rd. The three Non-Profit team prizes. The 10th prize is for best booth display and the 11th award will be revealed in an exciting new partnership announcement next week. The best part is you’ll be having fun for TWO great causes. 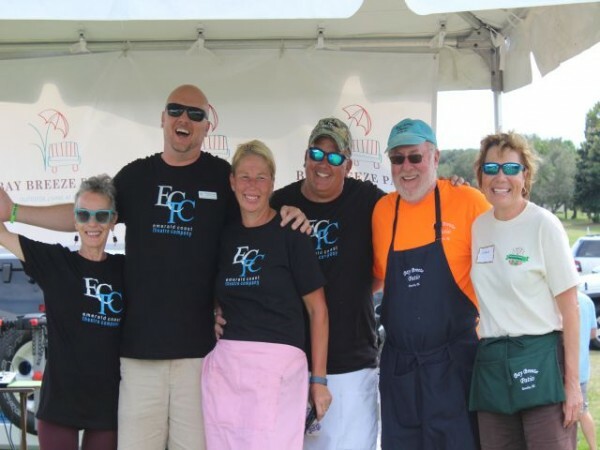 Proceeds from Eggs on the Beach EggFest benefit two local non-profit partners, the Fisher House of the Emerald Coast and Food for Thought. The Fisher House of the Emerald Coast, located on Eglin Air Force Base, provides a “home away from home” for military families during treatment for serious illness or physical/occupational therapy and Food For Thought serves students in Okaloosa and Walton County with healthy meals. Teams may be up to six members and each team will prepare, cook and serve their favorite recipe(s) on the Big Green Egg. We will provide a Demo Big Green Egg for each team as well as provide lump charcoal, fire starters, chairs and a 6-foot table, tent, paper plates, plastic utensils, napkins and toothpicks. Cook team registration includes a welcome bag, including a commemorative t-shirt and Wayne’s Get Grillin’ Rubs. For those who are interested in owning a Big Green Egg, demo Eggs, which will be used during the event, are being sold in advance with nest (metal stand) and plate setter for a discounted price. Both large and XLarge Eggs will be sold and all come with a limited lifetime warranty. Demo Eggs must be picked up after the event, between 4 – 5 p.m. on September 30. Click here to learn more and view pricing. Taster tickets are also on sale now with special advance pricing of $32/adult, $18/child (age 11-17) and kids 10 and under are free. Sponsorships are also available. Register a cook team or purchase a taster ticket, visit EggsontheBeach.com or call us at 850-269-4666. Hope to see you at Eggs on the Beach!